That God would allow evil to exist in the first place is a mystery, for the scriptures do not explain this. Yet we do know through the scriptures that true love must express itself in action, and in the face of evil and suffering, a Christian is called to action by loving God and his neighbor. Evil, then, becomes but a simple, practical problem; one that the Christian finds ways to alleviate. Saint Paisios of Mt. Athos told us that, “The devil does not hunt after those who are lost; he hunts after those who are aware, those who are close to God. He takes from them trust in God and begins to afflict them with self-assurance, logic, thinking, criticism. Therefore we should not trust our logical minds.” As Christians we are charged not with approaching our relationship with God through logic and reason, but with bringing God’s love and mercy into the world by our actions, and it is through our active love and kindness towards others that the devil ultimately loses his battle against us. Saint Anthony of Egypt said, “The devil is afraid of us when we pray and make sacrifices. He is also afraid when we are humble and good. He is especially afraid when we love Jesus very much. He runs away when we make the Sign of the Cross.” Likewise, when we show mercy and kindness towards others, the devil realizes that Jesus makes His home in our heart, that evil will not gain the upper hand, because the Kingdom of God resides in us. It is through our love and service to others that the God of love increases in us, as we decrease. The evil one, who feeds on the egocentric, and is made powerful by the pride in his victims, is driven out by our humility and love, and ultimately loses his war against us. It is good for us to remember that God is a consuming fire, and we, as Christians, are to scorch other people with our love, a love that emanates from God’s fire. 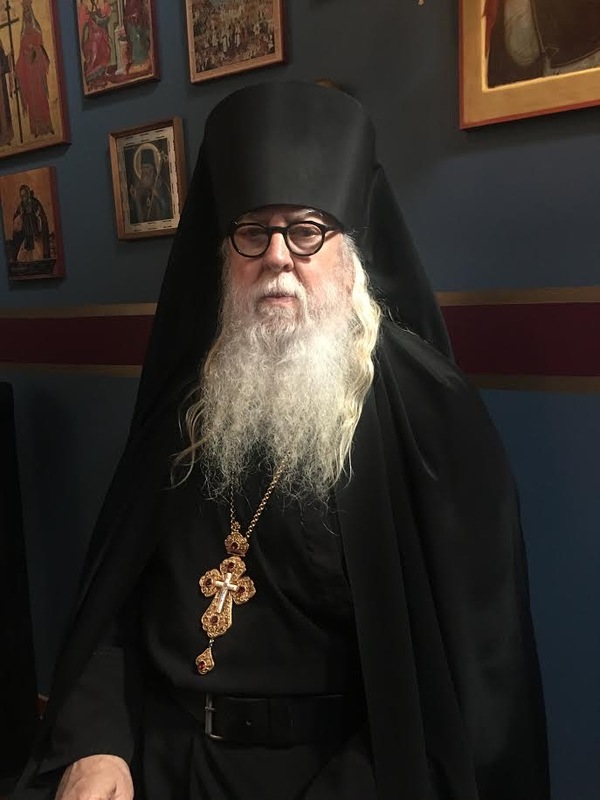 Saint Macarius the Great tells us that this fire of God scorches everything, and that this scorching fire, through our love and humility, extinguishes the fire of sin, and the demons who can not withstand the fire of God. 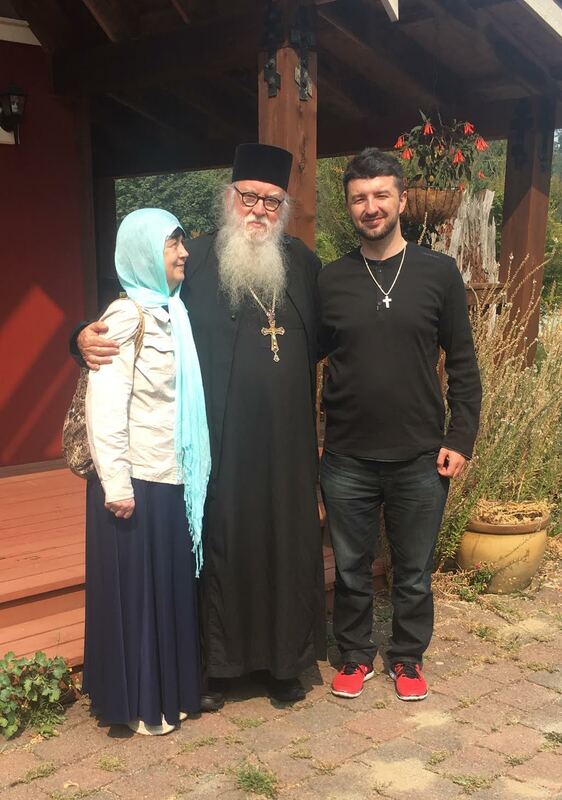 Photo: A young Serbian man, together with his mother, made a pilgrimage to the monastery this week. 28 Now it came to pass, about eight days after these sayings, that He took Peter, John, and James and went up on the mountain to pray. 29 As He prayed, the appearance of His face was altered, and His robe became white and glistening. 30 And behold, two men talked with Him, who were Moses and Elijah, 31 who appeared in glory and spoke of His decease which He was about to accomplish at Jerusalem. 32 But Peter and those with him were heavy with sleep; and when they were fully awake, they saw His glory and the two men who stood with Him. 33 Then it happened, as they were parting from Him, that Peter said to Jesus, “Master, it is good for us to be here; and let us make three tabernacles: one for You, one for Moses, and one for Elijah”—not knowing what he said.